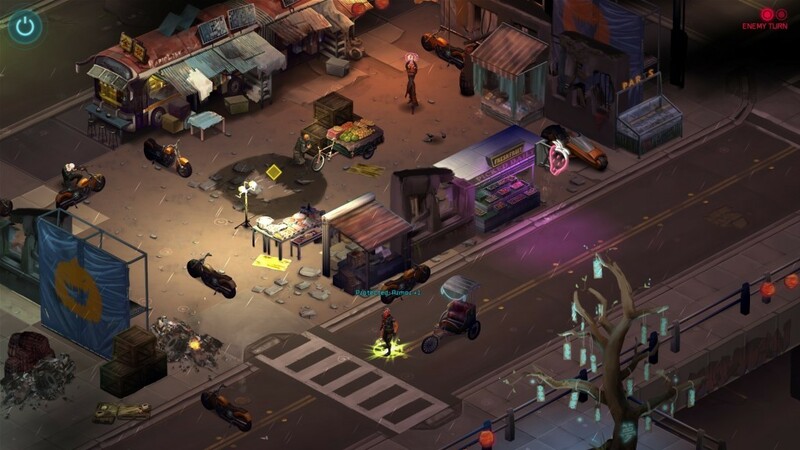 Shadowrun Returns by Harebrained Schemes is an isometric rpg with turn based strategy combat. It is one of the first releases from the paradigm shift that is “crowd funding” or games successfully funded by Kickstarter. Shadowrun Returns takes place in the Shadowrun Universe, a dystopian cyberpunk near future where magic has returned to the world and megacorporations are as influential and powerful as nations. It’s an awesome setting rife with endless storytelling possibilities and Shadowrun Returns explores only a sliver of the potential tales to be told. 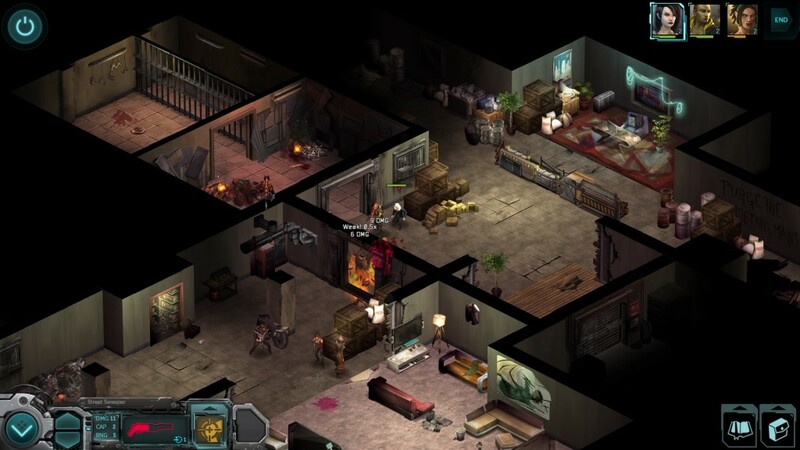 Shadowrun Returns has a rather unique art style, the game is presented in a isometric perspective harkening back to the Super Nintendo RPG of yesteryear but the gameplay is far more reminiscent of XCOM in both it’s original and modern incarnations. The initial retail release features one campaign appropriately titled “Dead Man’s Switch”. This scenario begins with your character receiving a call from a former associate informing you that if you’re receiving this message, he is already dead. Thus begins your journey through the sprawl where you will meet interesting characters and go up against dangerous foes. Such is the life of a Shadowrunner. In the Shadowrun Universe, Shadowrunners are mercenaries hired to perform illegal tasks for pay. Often these tasks are against greedy, faceless multinational corporations who employ their own private armies. Each member of your party is a specialist in a certain area. So while the Street Samurai and Mage fight off security guards, the Decker might be projecting his conscience into the Matrix to steal the data off of the internal network. Unfortunately Shadowrun Returns doesn’t use it’s setting to it’s full potential, the entire experience feels a bit “bare bones”. Whenever a design decision was made the developers seemed to have opted for the quicker/more cost-effective route. …the entire experience feels a bit “bare bones”. There isn’t much opportunity for exploration. Between missions you are returned to your familiar seamy neighborhood bar to restock supplies and accept your next mission. There you can partake in well written conversations with a colorful cast of characters. There is no voice acting in Shadowrun Returns and at first this threw me but after awhile I realized just how much of a detriment voice acting can be. Besides the additional cost of hiring voice actors, a poorly voiced character can quickly become a grating experience and if you’ve played any game with a lot of dialog, Skyrim or Mass Effect for example, eventually the temptation to just read the subtitles and click next becomes overpowering. So while conversation in Shadowrun Returns is text only, I actually found myself more interested in the content of these conversations since I was free to peruse them at my own pace. Character customization is lacking. When you initially create your character you start by selecting your gender and race and after that there is very little else in the way of customizing your appearance. Armor in the game comes in the form of a single slot which totally overwrites your look and there isn’t much incentive to use anything besides the heaviest armors for pure protection statistics. …feels more like a patchwork of features then a solid foundation for a new franchise. Shadowrun Returns greatest weakness seems to stem from the fact that it is a “crowd funded” game. With only limited capital to draw upon key areas of the game feel underdeveloped. This isn’t to say that they aren’t complete in their implementation, just that many of the systems in the game seem to have been drawn from well worn mechanics which when assembled together feels more like a patchwork of features then a solid foundation for a new franchise. Combat is entertaining though sometimes shallow. Each unit has a certain number of action points which can be used to either move or perform combat actions. Certain actions require more than one action point or AP to perform and sometimes have a cooldown that lasts several rounds. It’s a simple but effective system that possess a nice touch of light strategy coupled with flexible combat possibilities. 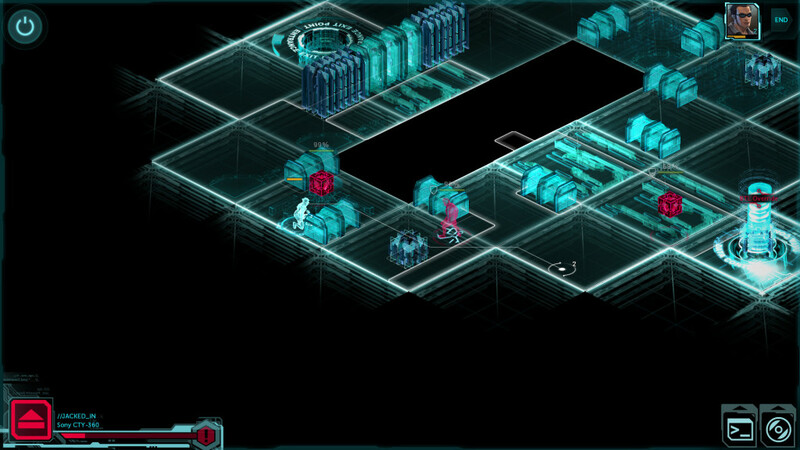 Enemy AI is perhaps the only significant failing of Shadowrun Returns’ combat. 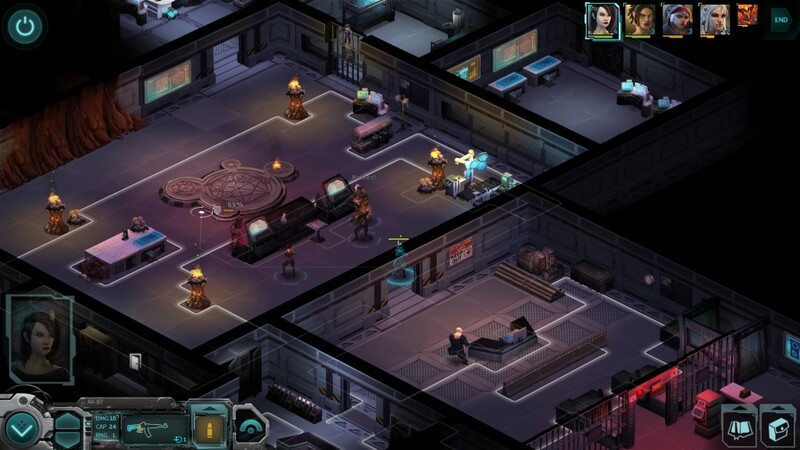 Unlike, say XCOM, where enemies seem to have a master level of survival instinct, enemies in Shadowrun Returns like to blunder into the path of fire consistently. the most effective strategy…a few point blank shotgun blasts. At first it’s enjoyable to watch an ork become the meat in my lead sandwich, but ultimately it makes the game feel less refined. I’ve repeatedly found the most effective strategy in battle is to walk up to an adjacent square and unloading with a few point blank shotgun blasts. Shadowrunners are hired before each mission and each starts with a selection of weapons, equipment and abilities. Street Samurais are your combat specialists utilizing SMGs, Rifles and Shotguns. Their higher Strength stats allow them to toss grenades further with greater accuracy and their higher Body stat allows them to absorb more punishment. Mages provide buffing and debuffing abilities along with damage spells, many of them with AOE abilities. They are able to occupy certain designated spaces called “ley lines” which buff their spell power. Shamans are able to summon creatures using consumable items called fetishes. These creatures will fight for you for a time but ultimately turn on you. The summoned creatures are less powerful attackers but being able to spawn new recruits at the cost of Nuyen (the in-game currency) means that you can significantly bolster your ranks if you have the credits to spare. Riggers are able to control remote control drones which can fill a variety of roles, though none as effectively as it’s human\metahuman counterpart. The final archetype, the Decker, is really only useful in specific missions that require a character to infiltrate a computer network. These missions also happen to be the most creative as they’re the only time when you really get to experience the synergy between character roles. When a Decker logs into the “Matrix” they appear as a ephemeral hologram of themselves in a very Tron inspired world, within these play areas are “nodes” which can be activated to make changes to the “real world” environments outside the Matrix. For example, by logging onto a computer you might be able to fight through enemy AI programs (in a system that works very similarly to the guns and magic crossfire of the real world) and find a node which will allow you to assume control of an automated turret to turn against your enemies. While the Matrix combat is somewhat uninspired the ability to affect the “real world” remotely is an enjoyable addition. Shadowrun Returns is a fun game. Despite it’s shortcomings, if you enjoy tactical strategy games like XCOM or Final Fantasy Tactics you will find plenty to enjoy about this game. 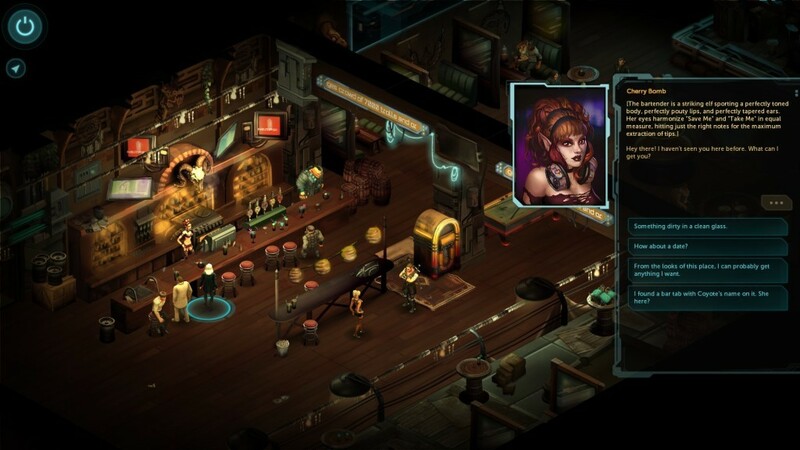 If you like noir tales about dystopian futures, Shadowrun Returns has all the “grit” that you’d expect from a story taking place in the unforgiving urban jungle. The story and setting were crafted lovingly but the gameplay is lacking in complexity which may leave you wanting more.